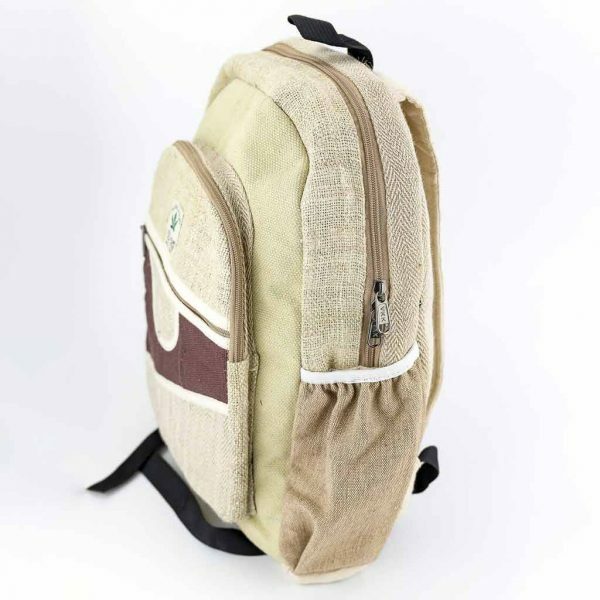 Our eco friendly hemp bags are handmade. 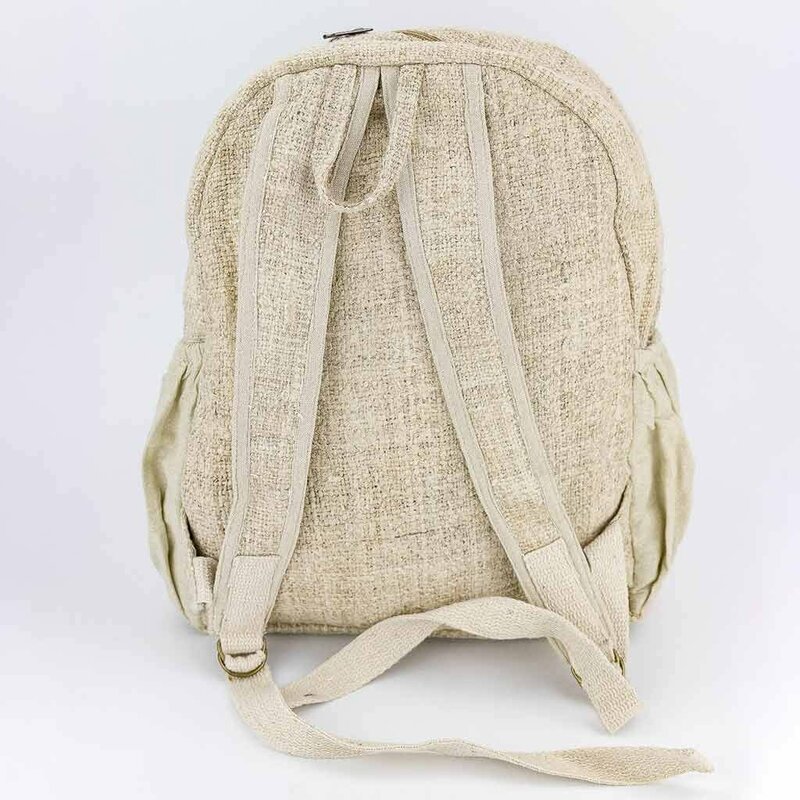 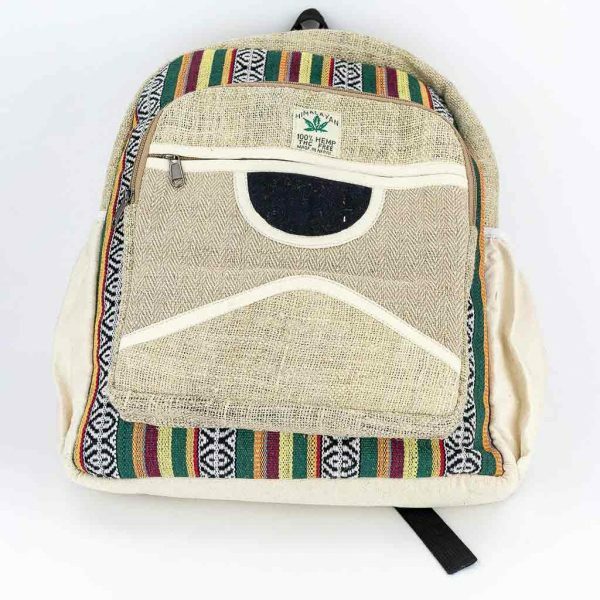 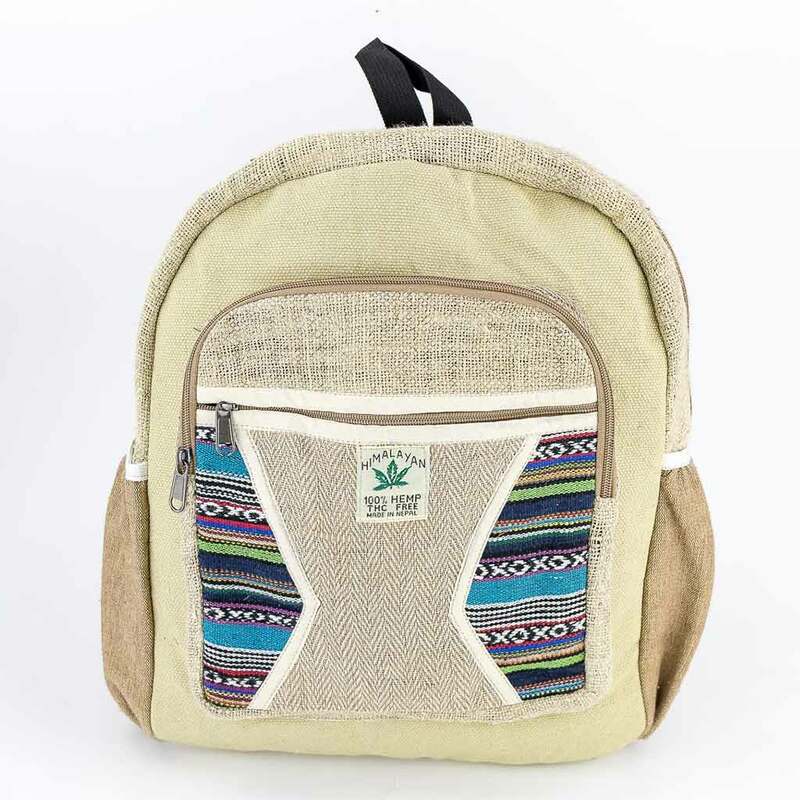 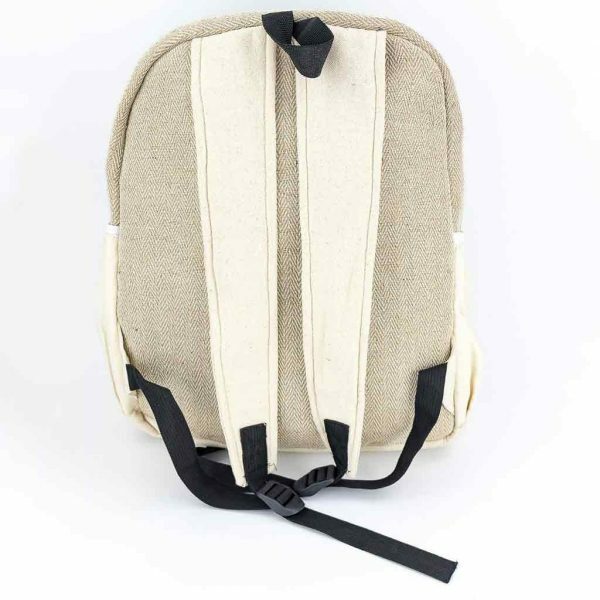 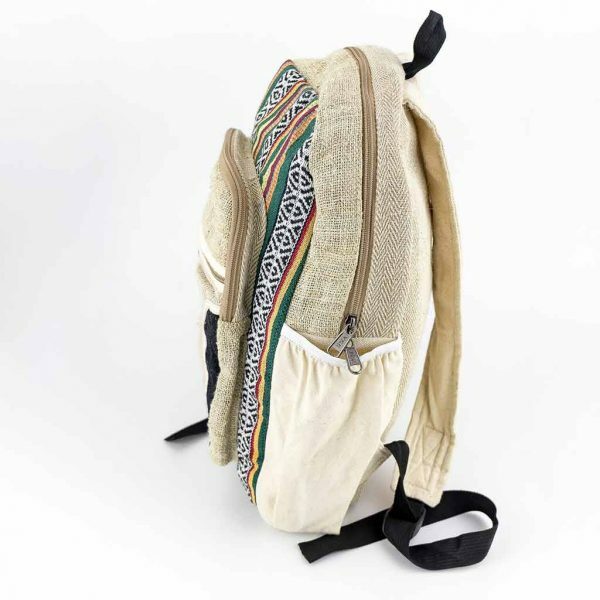 This organic himalayan hemp backpack from Nepal has an ‘Earthy’ looking feel yet stylish and trendy. 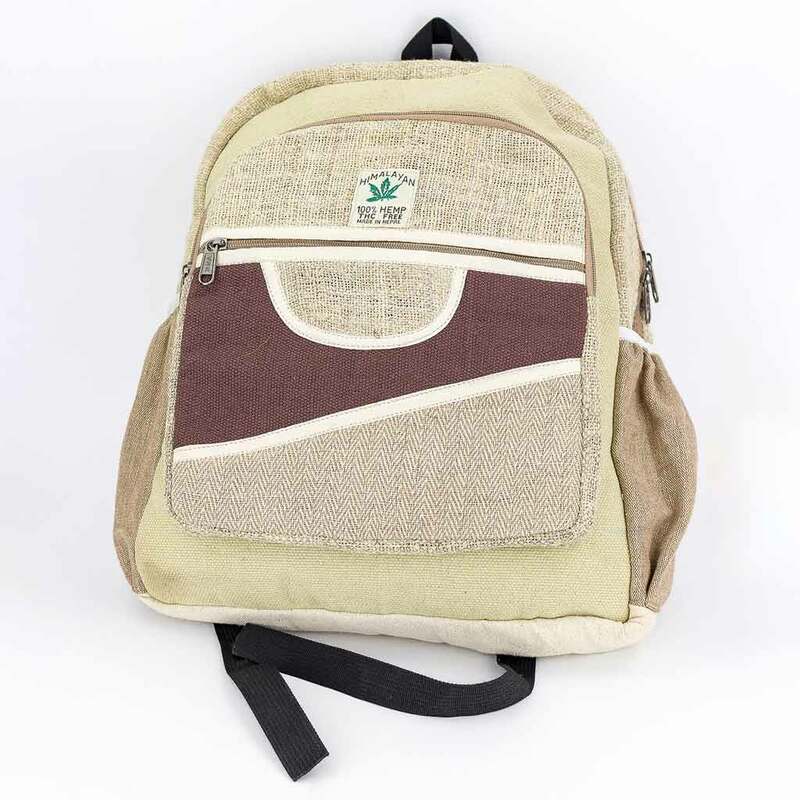 Use it as a college bag, gym bag, travel bag, hiking bag, camping bag, festival bag or just take it out on a casual day out. It requires very little resource to produce hemp and gives back more than half of the nutrients to nature. Our hemp bags are made from hemp found in the Mountains of Nepal. 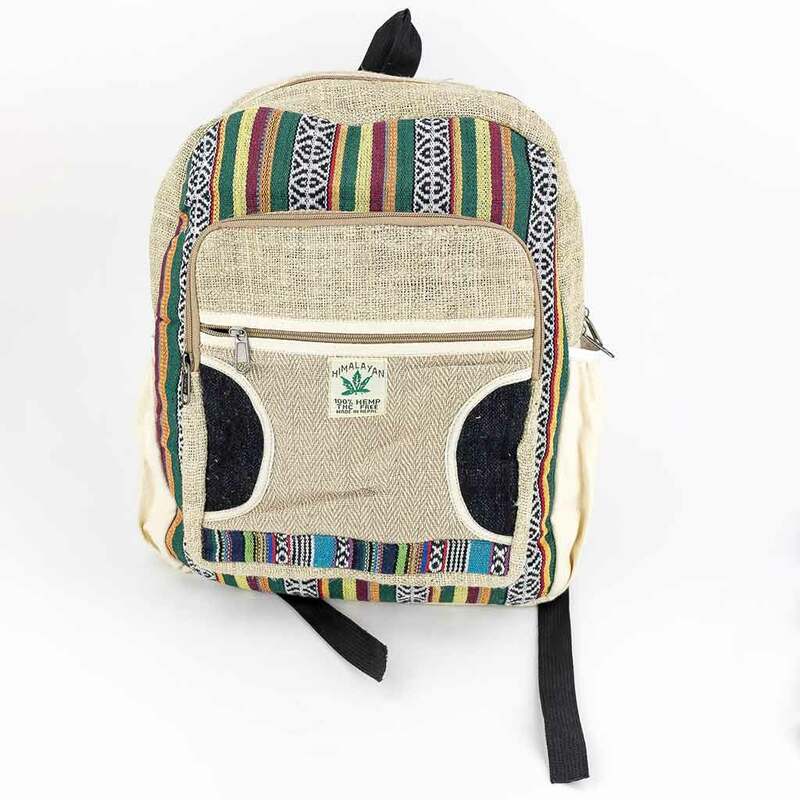 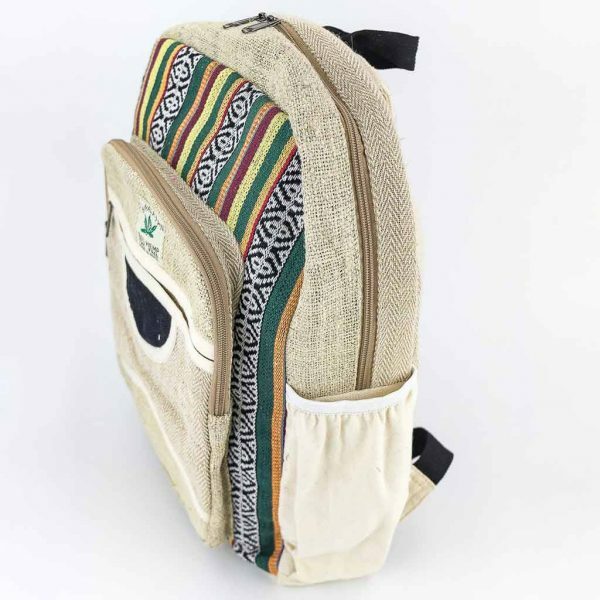 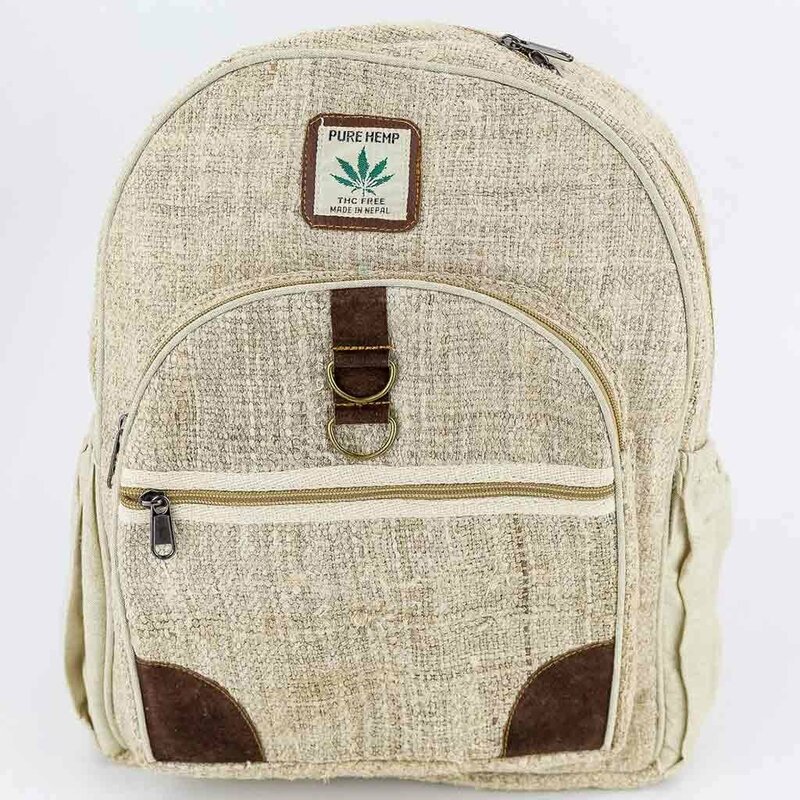 There are plenty of reasons to get yourself a eco friendly hemp backpack. 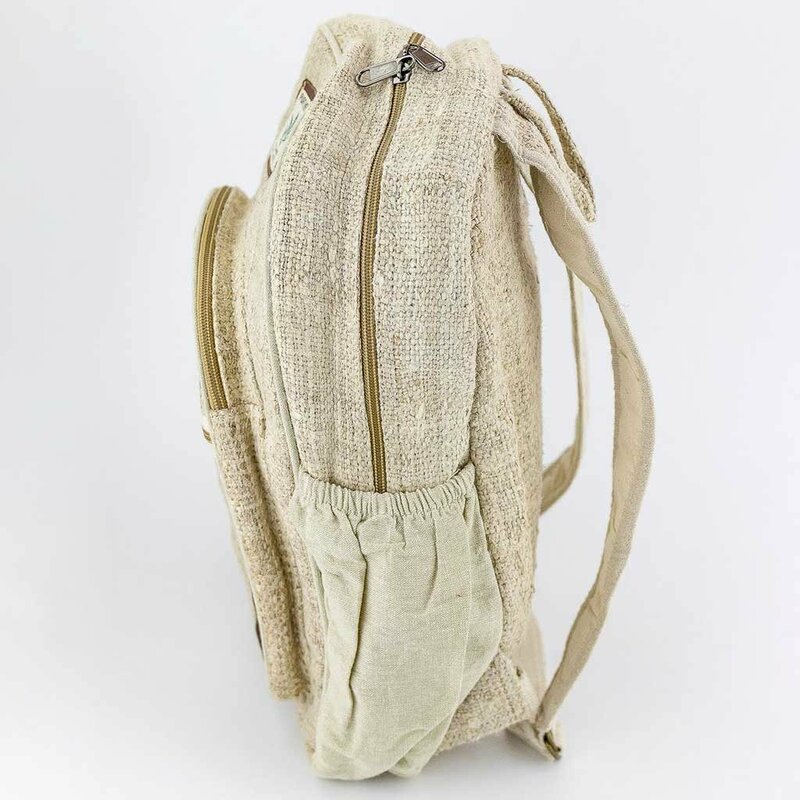 Organic, durable, comfortable, fashionable are few of the qualities of this pure hemp bag. 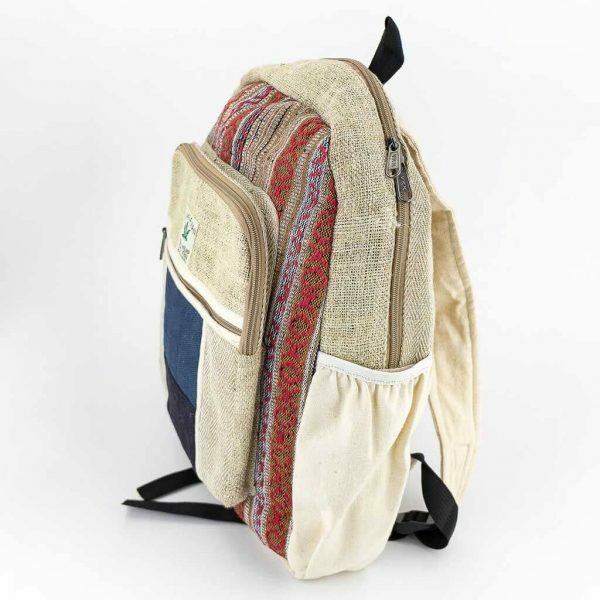 Each item is handmade and unique on its own. 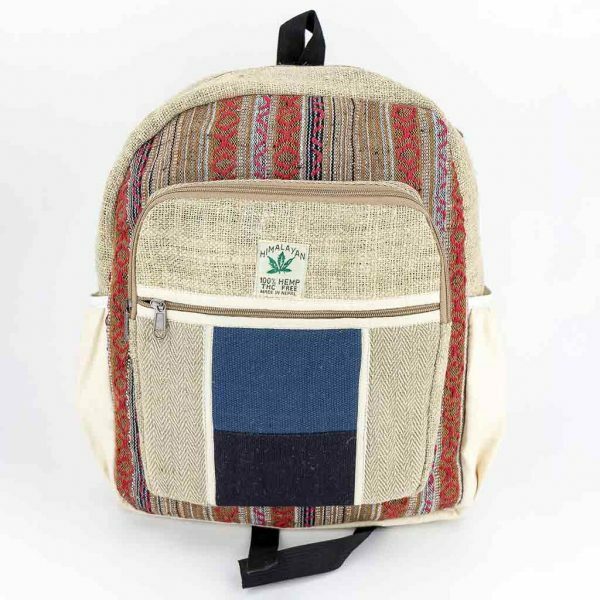 Sometimes there might be slight differences in colors and patterns.